If a person could fully understand another place via the internet, we’d never travel, visit a new baseball stadium, or go on a college visit. “Seeing is believing” isn’t just a nearly 400-year old idiom, but a truth proven through immersive, in-person experiences. Teachers are creatures of habit and our dependence on schedules and routine aren’t always conducive to getting out of our classes and into others. We’re exponentially less likely to get into other schools to see what’s possible elsewhere. After today’s experience at Mid-Pacifc’s eXploratory program (MPX), if I wasn’t already a believer, seeing their flavor of project-based learning convinced me the bar has been set high for our own cross-disciplinary efforts. MPX is the closest model to Innovation Lab that we can find and it just happens to be 5,000 miles away. Their 9th grade cohort, who I saw today, has 35 students and is staffed by a humanities and a STEM teacher (Heather and Greg) who also teach classes outside of MPX. Students have four of their seven blocks assigned to the program, split evenly between humanities and STEM. Even humanities teachers, who are often used to having more freedom in their classrooms than their STEM counterparts, push the envelope to develop projects that impact their communities. When studying unrest in the Congo as part of Western Civ, Heather, a humanities teacher, described how two students helped create a project where students wrote reflective and provocative prose, are writing them out on white VANS shoes, and will sell them at a silent auction to recoup costs and donate to charity. Student choice, community involvement, authentic work – it’s all there. Twice a week for three hours, humanities and STEM combine and work together on a year-long project arc; the 9th grade’s project revolves around hydroponics, a sustainable method of growing plants in a flexible environment that maximizes available space. This aspect is what really seems to separate MPX from a PBL heavyweight like High Tech High. Multiple students walked me through the process, described the connections to STEM and humanities, and pointed out process assessments that they found valuable and useful. 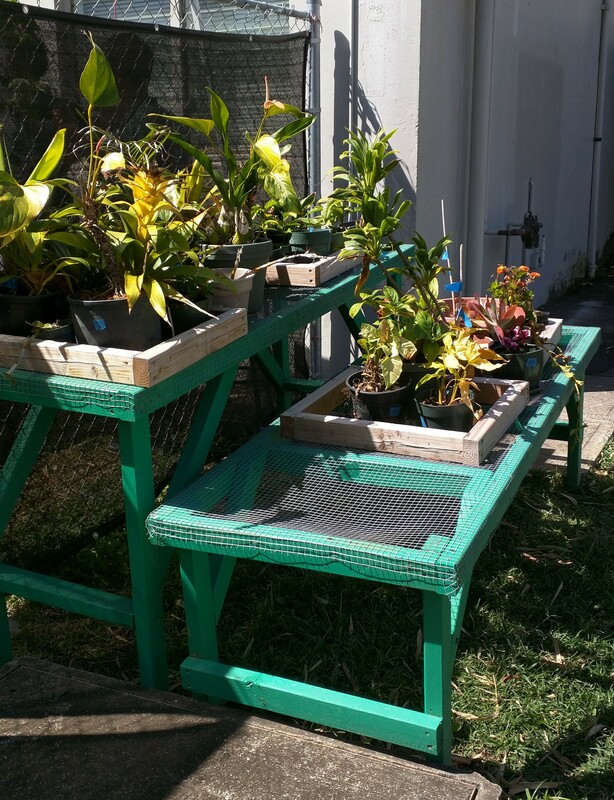 Students began this year getting used to growing plants and building work tables and plant restoration stations. A student, Isabel, walked me through the creation of her work station. It started with scale drawings they found online, moved to 3D models with slivers of foam board (below), and then was built for real with wood, power tools, and fencing (pictured below). Students also worked with restoring dead plants to get their feet wet with working with plants. Aleks shows off formerly dead plants that he and classmates brought back to life. He was especially proud of one that even his teacher had doubts about. Another example of the plant restoration structures students built. Aleks explains his team’s hydroponic tower design. Aleks walked me through the thought and design process his team went through when building the hydroponic tower pictured to the right. The idea behind the overall project – come up with a recipe that involves at least four vegetables, grow them in a self-designed and built hydroponic system, and then harvest the ingredients in time to use in a live cooking competition at a local community college. What happens along the way? Students research different types of hydroponic systems and their advantages and disadvantages over others. His team chose the tower design because it can grow more plants in a smaller footprint than an A-frame design. The team started with accurate, scale sketches, created infographics about their model, went to Home Depot and priced out their design given a $200 budget, and then learned how to use the appropriate tools to build the structure itself. They learn how to sustain the hydroponics by adjusting pH and TDS levels and are in the process of creating an instruction manual that would allow someone else to understand and operate their design. Daily agendas, consistent check-ins, and team meetings to delegate tasks are structures that support this year-long arc. I asked another student about assessment – what does it look like and where’s the accountability? He reiterated a common theme in PBL of assessing process and not just product, which is a major departure for some subject-area teachers. There are end-of-block check-ins, individual work blogs with photos that each student maintains, high expectations of the websites they create (examples here and here), and an attractive recipe card that went through five revisions. The same student laughed when I asked about the departure from quizzes and tests. “Taking a test is sort of like an Etch-a-Sketch. You turn the knobs and fill it up and then afterwards, you shake it and it’s all gone.” Another student described that material sticks with him more now because he’s learning by doing and creating, citing the infographics he created in the dedicated humanities class time with Heather. I mentioned to Heather at one point that it seemed like humanities was playing support to STEM and asked what her thoughts were about the role they played in the project. 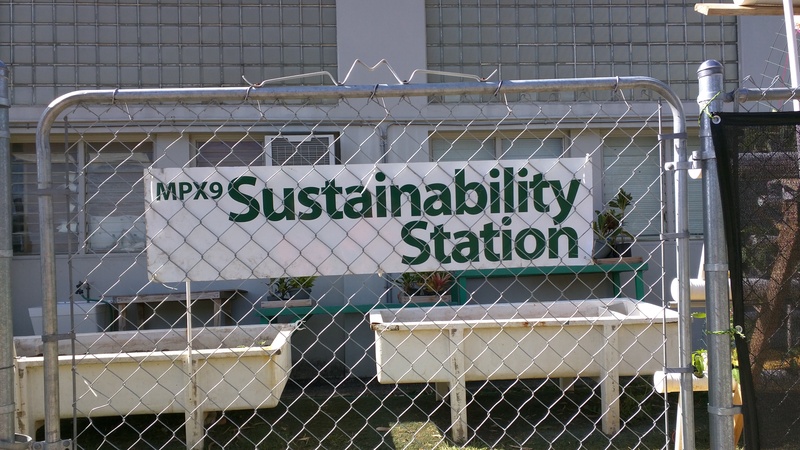 She and students described field trips to a trash conversion facility, a hydroponic garden, and a taro patch that first got students sold on the idea of sustainability. Then, they studied it from a social and historical perspective. Cole, a student, told me that Hawaii has as many people living here now as it did when the islands were fully self-sustainable. Now, if the shipping stopped, the island would run out of food in three days. Heather described that students research the history behind how the native Hawaiians farmed, the political impact that sustainable farming could have on the islands, and are responsible for documenting their own progress in various forms along the way. Just like with STEM, this mindset requires a rethink of what humanities are used for in the real world. 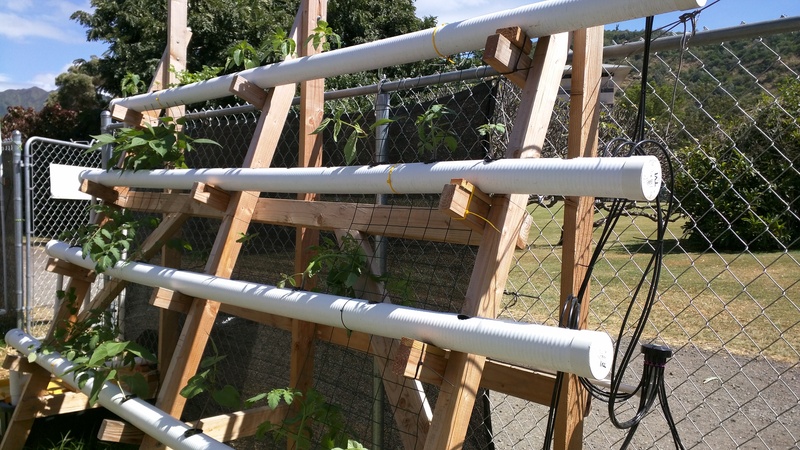 Heather described it well, noting that while the final product often looks STEM-heavy, process and supporting documentation (like the required hydroponic instruction manual, for example) are a huge part of the project. When I started imagining what it would be like if we did a version of this project with Innovation Lab, Cole, the student from above, was an endless supply of ideas. When I said space was limited, he suggested a challenge to make a table-top version to grow herbs that was aesthetically pleasing. My mind jumped to a showcase and sale of tabletop versions to our community. Heather and Cole also pitched the idea of making them attractive enough to put in a public space. Hydroponics in a section of the student center? I told Cole we would include him on a video chat if the project gets off the ground. Tinkering is a common theme in PBL and the creative juices flow throughout MPX. It was a fun coincidence that MPX was also hosting small batches of 8th graders while I observed today. One MPX student pushed the 8th graders to explain why they were interested in the program. A boy described a project he did to design a better alternative to Tommy John surgery, a ligament replacement procedure baseball pitchers are having more often recently. Why was that interesting and why is MPX attractive? With a beaming smile on his face, he stood and said, “I enjoy taking a problem, looking at it from all angles, and finding a solution.” If he wants that school environment, he need not look further than the room he was in.